For those of you that have been interested in joining in some of the steampunkery in our area, here is a list of upcoming events. If you are on Facebook, one of the best ways to keep apprised of upcoming events is to join the NorthWest SteamPunk Events Group. There are a lot of fun steampunk events coming up. Here is a list of the ones I know that I am going to do so far. More may be added to this list in time. I hope to see you at some of these events. Feel free to drop by and say hello! While this isn’t technically a steampunk event, there will definitely be steampunk art, merchandise and costuming. I will be at table L- 20 in the Artists Alley with my Steamporium merchandise as well as my other art. A good excuse for steampunks to dress to the nines. This is a general science fiction convention, but there will be some steampunk content. Steamcon will have a promotional table in the main hallway and we will be doing raffles and selling Steamcon memberships. This is an excellent opportunity for anyone curious about steampunk to find out what it’s all about. Even if you don’t want to attend classes, the store is a wonderful shopping opportunity. Admission is Free. This should be a fabulous concert. The second annual steampunk festival held in picturesque Port Townsend. A wondrous market filled with art and wares from many of the merchants that will be at Steamcon. 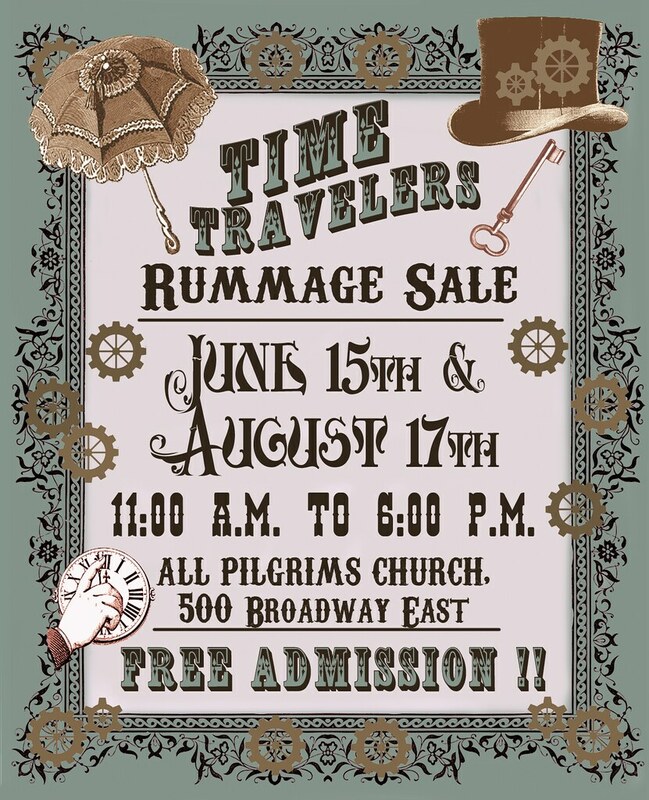 It is a great opportunity to get your ensembles and props for the next steampunk events. One more shot at the great shopping opportunities before Steamcon. 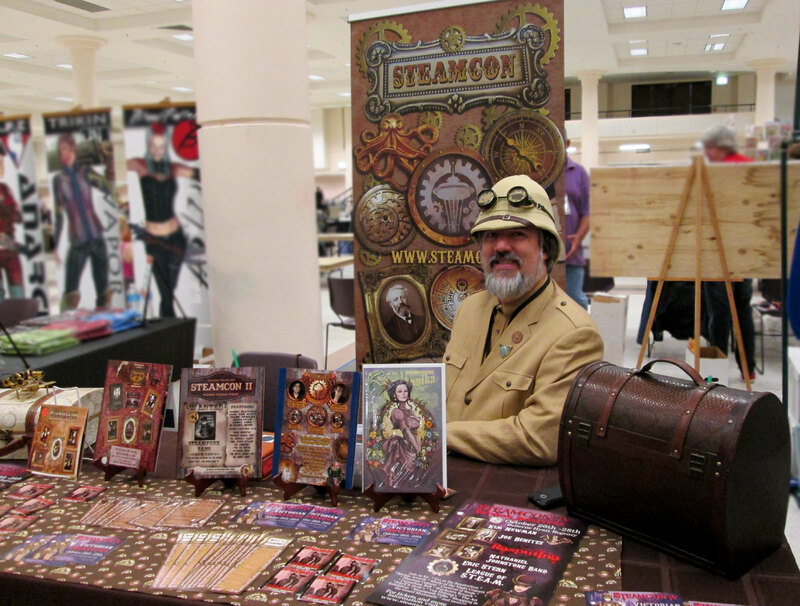 Once again we present the Northwest’s premiere steampunk convention. This year’s theme is Around the World and we plan on bringing you steampunk from many lands, exploration of the Victorian world as it never was and much more. Professor Elemental has kindly offered to drop by and join in the fun as well as artist Brian Kesinger and author S.M. Stirling. It will be a grand show! As usual this month marks the beginning of the whirlwind steampunk event season. I was very sad to miss both Victoria Steampunk Expo and Gaslight Gathering this year, but it’s being made up for by my wonderful birthday weekend adventure in California. I have been asked to be the Fan Guest of Honor at Clockwork Alchemy! I am going to be doing a few talks, and panels and we will be running a promo table for Steamcon all weekend. It should be quite a nice way to spend my natal fete, getting to dress up, see my California friends and help initiate a brand new steampunk convention. While there are lots of steampunk events happening all over the country, I am only going to list on the ones that I might have a chance to attend. You may want to check out the Airship Ambassador’s site for event listings for things that are further afield. If you are on the west coast or even better in Seattle, check out the events below and click the links for more information. I hope you can join us for some of these splendid steampunk events! Oh my, May is looking very busy indeed. I have a steampunk event almost every weekend. And I am speaking at all of them. And then of course there is the costuming…! My favorite part! Now my husband is muttering something about brier patches. Heh. Yes, it’s going to be a very long and fun month. Click on the links to find out more about any of the events. I hope to see some of you there!